Question: A regular person doesn’t even suspect that there is some kind of higher power that is approaching us and summoning problems in our lives. In ancient times there were prophets who told the people about the actions of the Creator. But who will explain to people today what is happening with them? Answer: The role of Kabbalists is to explain what is happening to everyone, and the main thing is to say that there is a remedy for correcting the unpleasant situation we find ourselves in. We have the possibility of transforming all the negative phenomena into positive ones, transforming darkness into Light. Question: For this, what kind of change must happen in us? Answer: All the changes are directed only towards connection. We don’t feel anything else. We need to overcome the rejection, the hatred of one towards another, our indifference, and to understand that only through connection between us do we bring the higher power closer to us in a good way. This force will be clothed in us and then we will merit the most wonderful life. Everyone will need to study the method of connection and unification in order to understand what must be done and how. In this manner, we merit a wonderful life and remove all of the disasters, problems, diseases, wars, and anti-Semitism. A powerful weapon like this is in our hands, but we haven’t even suspected this, and this is the whole problem. People must discover and know what this higher power is and how to use it through our connection. The war is not conducted with an external enemy, rather within the people of Israel. In the meantime, mentioning the Creator, the higher power, frightens a person because he connects these concepts with religious stereotypes he is accustomed to. Nobody knows exactly what is standing behind these words, but each one has his concept, and it seems to him that he supposedly understands. But essentially, the Creator is the collective power of nature. There are many forces we learn about in physics, chemistry, biology and zoology. These are the laws of all kinds of natural systems. But the collective power that includes all the rest of the forces within it, the general system that includes the other systems within it, this is called the “Creator.” This is everything! The Creator is not some kind of mystical image but the collective power that holds within it the entire creation that was created by it. Therefore this is what is called. Besides that, the Creator (Boreh) symbolizes “Bo Reh” (come and see). This means that we can “come,” advance in our correction, and “see.” We approach this higher power through connecting with each other, and in this manner we form the ability to feel the Creator within us. The law of equivalence of form exists according to which we can only feel such a phenomenon we have common characteristics with. So how can we acquire common characteristics with the Creator in order to feel Him? We attain characteristics like these through our connection with others. Question: If the upper force is good, why is it revealed in an unpleasant way, pressuring us? Answer: The higher power pressures us from above in that it aspires to be discovered. Whereas, we are found below as separated, crushed, rejecting and hating each other. The pressure of the upper force from above increases our problems, because He wants to be discovered, but is not. All of the problems pop up because of the approach of the Creator to us. If you are not adapted to Him, then His approach awakens negative reactions in you. Question: I don’t understand how the approach of the Creator could be perceived as negative. It would seem that this would be the opposite; wouldn’t it be necessary to awaken some kind of positive results? Answer: Imagine that you are a child. Your mother comes to you and asks: “Have you completed your homework?” And you haven’t prepared your lessons. So your mother threatens: “Watch out, I will come back in another hour to check if you have finished your homework!” As the hour passes you begin to be afraid of when she will come back because you still haven’t done anything. How will her approach be felt in this case: good or bad? If you don’t comply with her demand, you feel her approach as unpleasant, you don’t want her to come to check you. Isn’t this so? And now the same thing is happening with us. We are not carrying out those actions that we must carry out. We don’t want to become like one person with one heart, where all of Israel are friends, connected with mutual guarantee (Arvut). We are not becoming like those that we must be, and so the approach of the Creator awakens troubles, disasters, and wars within us and around us. All of these are the result of the nearing of the Creator. The Holocaust was a result of His approach. That is how the approach of the upper force is revealed if we don’t adapt to it. So we must prevent the blow through a remedy: Begin getting closer to each other, connect so that we approximate ourselves to the approach of the Creator. Then we will accept this approach as better and better, to the state in which the upper force will be completely clothed in us. There is no better state than this! Question: Is the upper force like a meteor that is approaching our Earth? Answer: The higher power is not approaching us with the speed of a meteor, which is 30 kilometers per second. This is a gradual process that began a long time ago. But essentially this “meteor” is already close, and its speed is increasing all the time. The inner and outer tension has grown. After that a period of calm could come. But even if it comes, it will be for a very brief time. Periods of calm will become more and more compressed, whereas the tension will grow exponentially. This is because we are on the threshold of the general correction and the Creator is obliging us to carry out the correction, meaning to connect among us. We must come to a state of “And you shall love your friend as yourself,” no matter how unrealistic this may seem to us. The higher power is prepared to force us into this through its pressure. But it is desirable to begin to study the wisdom of Kabbalah because from it, we discover how to attain this in ourselves before we are pressured from above with full force. We can reach this connection ourselves in a good way, without coercion. Any contact with the egoistic desires can lead to contagion of the corrected desires. This speaks about a person who establishes an integral system of connection with others. Therefore, he has no right to begin doing anything without first clarifying his desires, since he may only suffer from that and eventually everything will break down. He will build it, but it will all collapse since there is an egoistic desire somewhere that will become active after being included in this whole schema. It turns out that it is essential to discover my egoistic desire first. This is the essence of the Torah, which tells us how to draw the Upper Light in order to help us clarify the egoistic and the non-egoistic desires inside us; those that can already be corrected and those that are already corrected. Then they can be divided into three types: those that can be corrected, those that cannot be corrected, and those that are already corrected. The Light should reveal these three levels inside me. There is nothing I can do with the revelation of the right desires, since they are ready. I have to simply suppress them so as not to allow them to connect with the egoistic desires, as it says that it is forbidden to sit in a certain place, to lie there, or to touch it. Then it is essential to discover the desires that can be corrected and to start correcting them separately. The infected desires that cannot be corrected have to be isolated and only on the next levels, to the extent that I receive the powers of the next level, clarify them again and decide whether I can do anything with them. It is a very serious study, an internal study: touching, incorporating inside me, exiting myself into the impure desires and vice versa, and drawing them to me in order to correct them. Therefore, it is called secret work since no one can see it on the outside. Question: During the war, unity, solidarity and a common fate were felt among the people of Israel. But what were we missing in order to truly unite the people; many people didn’t feel themselves as part of the general whole? But we then fell from this state and distanced ourselves from the principle of connection as one person with one heart. From the height of love, we fell into hatred. With this, we awakened hatred from the whole world towards us. And the sources of all the nations of the world, from which we emerged, were awakened in us when we came into the group of Abraham. So it is not surprising that today we don’t want to be the people of Israel in the land of Israel, meaning connected according to the law of love. We hate ourselves, we don’t love our people, our nationality, our belonging to Judaism, and we want to be freed from it. This desire is present in everyone, openly or secretly. In every Jew there are physical sources from the seventy nations of the world and there is also a spiritual source. Now we must awaken this spiritual source. It is possible to do this only through the wisdom of Kabbalah, which explains to us the entire system: from where we came, why we exist, how we must connect with each other, and how we receive that higher power which is one and will therefore make a single system from us. We must provide an example to the world of how it is possible to live together with a collective love. The world expects this and is ready to learn from us. See how everyone feels that they depend upon us by blaming us for all the problems and troubles? So come, let’s present a good example to the world so that with it they will create peace and tranquility. There is no preference for the people of Israel over the rest of the people. On the contrary, we must become the teachers and the Light to all the rest of the nations. And so everyone agrees with our enemies who are bombarding us with missiles. These are like the plagues in Egypt that are awakening us to depart from this state of exile. Answer: The tune “A Concealed God” sounds very simple and may even be incomplete, like a minor composition, but it is an expression of the harmony of upper attainment or the harmony of revelation. There are very sublime words to this tune about the one unique, eternal, and whole upper force that surrounds us and leads us to a perfect and ideal state. The tune praises and glorifies the ten streams of abundance that descend unto us, the leadership of our world that, unfortunately, because of our egoistic attributes that are revealed on the level of this world, become the complete opposite. Instead of opening ourselves to receive the spiritual abundance and to resemble it in perfect harmony among us, we distort all that and eventually receive a tiny bit of spiritual energy that keeps our world alive. Question: I see examples of love of others in other nations a thousandfold more than in Israel. So, why do you attribute love of others to Israel only when you suppose that this is something unique about the people of Israel? Answer: I am only saying that the method for attaining absolute love is found within the wisdom of Kabbalah. The wisdom of Kabbalah doesn’t belong exclusively to the people of Israel. However, the group that went out of ancient Babylon in the past and was composed of representatives of all the tribes that were living there realized the method of Kabbalah and transformed itself into a single people. In a particular period of history, from the construction of the first Beit HaMikdash (First Temple) until the destruction of the second Beit HaMikdash (Second Temple), they lived according to these laws and then fell from this level. Among the people of Israel there exists a spiritual gene, an inner memory (Reshimo), of this state and the entire method that makes it possible to attain this, meaning to come to love of others, is found in the wisdom of Kabbalah. Question: Does this method belong to Jews only? Question: Does this mean that it is possible to teach Kabbalah, love of others, in Gaza? Answer: If we convey the method of Kabbalah to Gaza, and the Palestinians try to implement it themselves, nothing will go out to them. They need an example; teachers are required. It is only Jews that can provide this example and the teachers. This is because Jews are not a people. Rather, they are a spiritual group that was once on that spiritual level and fell from it afterward. So, it is impossible to consider us as a regular people and relate to us as one would to all the peoples. We are a conduit between the spiritual force and the physical world. We have the possibility of conveying Light to this world. It follows that the people of Israel have a unique educational and social mission in relation to all of humanity. They must become teachers who teach love of humanity according to the method of Kabbalah. Question: Does this mean that we must love everyone to an equal degree without any connection to whichever people each of them belongs to? Answer: There is a method that awakens love for others in the heart of the person, but it must enter into general use through a unique people who will show an example to everyone and bring all of humanity to its implementation. Question: If there is love of others in one’s heart, must it be directed toward everyone without exception, not only toward the Jews, but also toward all the rest, including the Palestinians in Gaza as well? Answer: Ultimately, this is how it will be. This means that we have hope that, ultimately, the world will attain a love such that there will be no borders between peoples. There is a method that makes it possible to attain this. The people of Israel must manage its realization in the world. 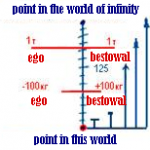 Our egoistic development continues under the pressure of nature. The world has found itself at a dead end, confused and not understanding what to do next. Pleasure is an abstract thing. Nature relates to us in two ways. 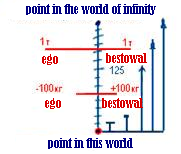 On the one hand, it develops our egoism; on the other hand, we are suffering from it. Science discovers more and more evidence of trends of integral connection and reciprocity.